Nintendo just confirmed what we already knew: its hybrid gaming system is a hit. The company said on Tuesday the Nintendo Switch -- one part mobile, one part home console -- has sold 10 million units since its March 2017 launch. The announcement comes less than two months after Nintendo (NTDOF) increased its fiscal-year projection, ending March 31, 2018, from 10 million to 14 million units sold. Nintendo expects operating profit for the year to hit $1.06 billion, up from its original projection of $572 million. 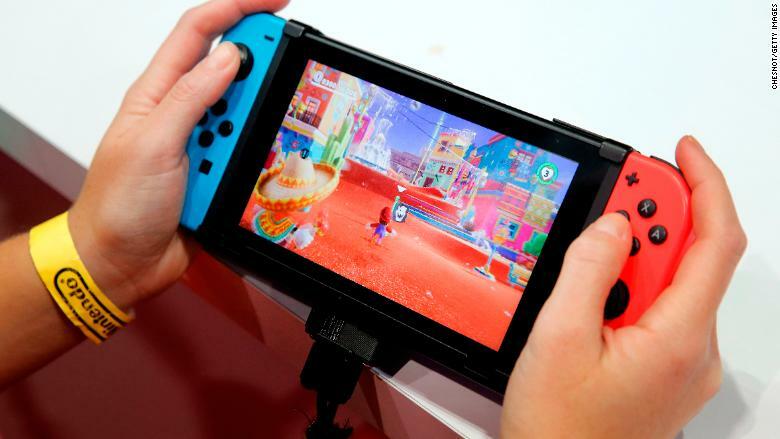 "The fact that we reached 10 million units sold on a global basis and we're not fully through the holidays is unprecedented territory for Nintendo," Reggie Fils-Aime, president and COO of Nintendo America, told CNN Tech. "The pace is one of the fastest in our own history and in gaming history." By contrast, the Wii U sold just over 13 million units since its 2012 launch, before it was discontinued earlier this year. Fils-Aime attributed the success of Nintendo Switch ($300) to its portability, as well as its game offerings. To play it, gamers insert a slim tablet into a handheld device that has controllers on each side. Users can then pop the tablet out of the mobile "Switch Console" and plug it into a "Switch Dock" base-station that allows for play on a TV. It will automatically transition to portable mode when it's lifted from the dock. The concept makes it easy to "switch" from playing the game on the couch to taking it on the go. More games are coming to Nintendo Switch's lineup, including those that feature characters Kirby and Yoshi. Last week, "The Legend of Zelda: Breath of the Wild" for Nintendo Switch was named game of the year at the 2017 Game Awards in Los Angeles. Other games such as "Super Mario Odyssey" and "Mario Kart 8 Deluxe" have been widely praised, and titles such as "Bayonetta" and "Bayonetta 2" -- which debuted on the Wii U -- will come to the console next year. The Nintendo Switch is one part mobile, one part home console. A slim tablet can be placed into a handheld device or a dock station for the TV. 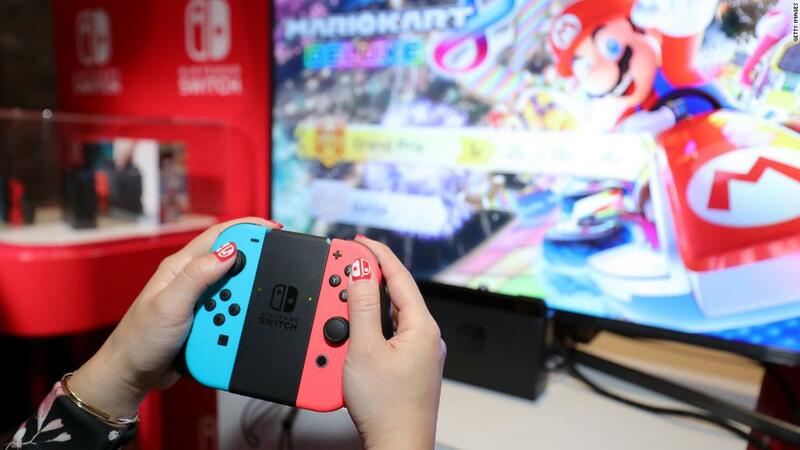 Fils-Aime previously told CNN Tech it was important for the console to have a consistent flow of new games -- unlike the limited offerings made available to the Wii U. The Wii U, which was considered a flop, also lacked a clear user proposition. According to P.J. McNealy, chief executive at Digital World Research, the gaming industry was ripe for something like the Nintendo Switch. "The Switch is in a position to become the second console in households," McNealy said. "The PS4 and Xbox One are in year four, while the Switch is a new console with great first-party titles. Nintendo's strategy coming in was to load up on [games], such as Mario and Zelda, which help carry hardware sales for several holidays. The company nailed it this year." The Nintendo Switch isn't the only gaming system fans are clamoring to get their hands on. The company's Super NES Classic Edition throwback console has emerged as one of the hottest gifts the holiday shopping season, similar to the attention the NES Classic Edition attracted last year. "We continue to ship them daily," Fils-Aime said. "We'll be selling the Super NES Classic Edition well into 2018, too. There will be lots more for consumers soon."